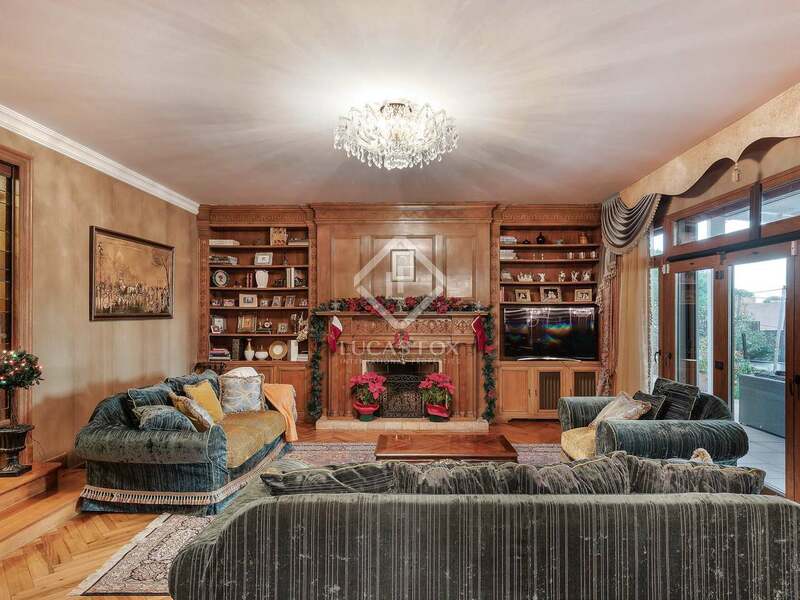 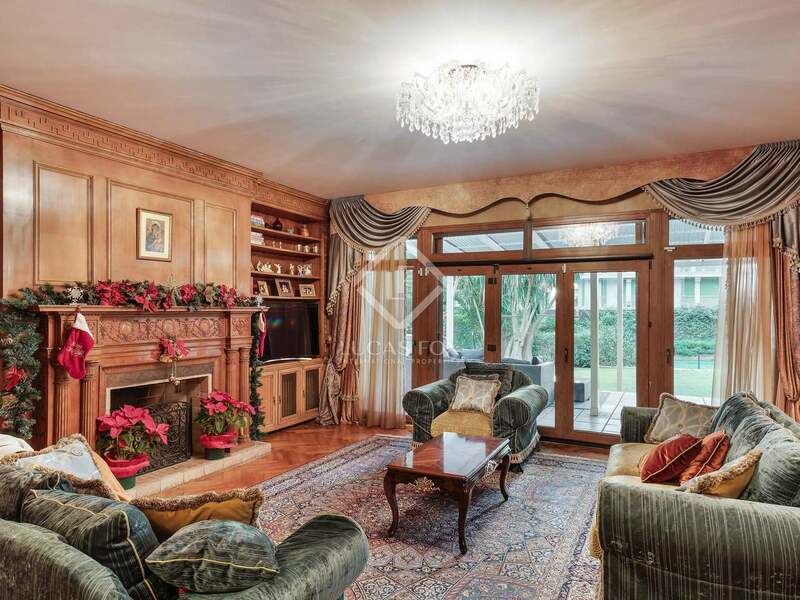 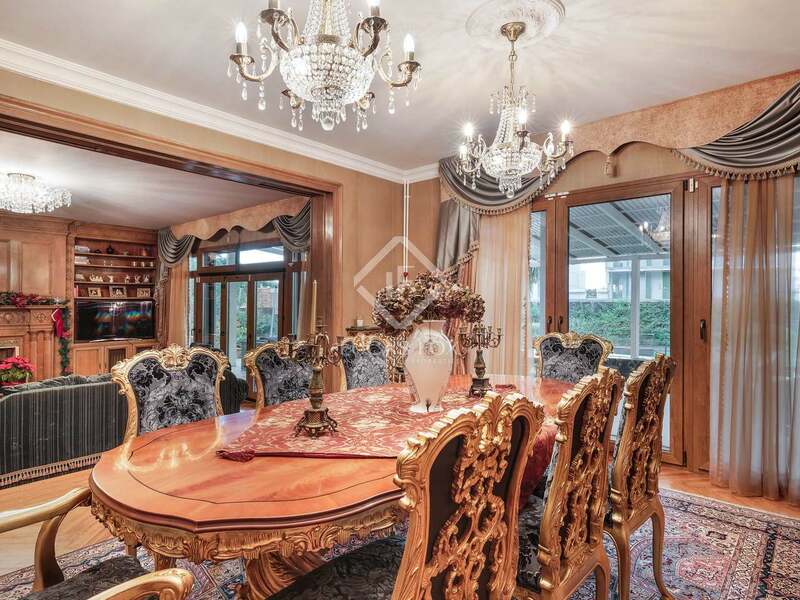 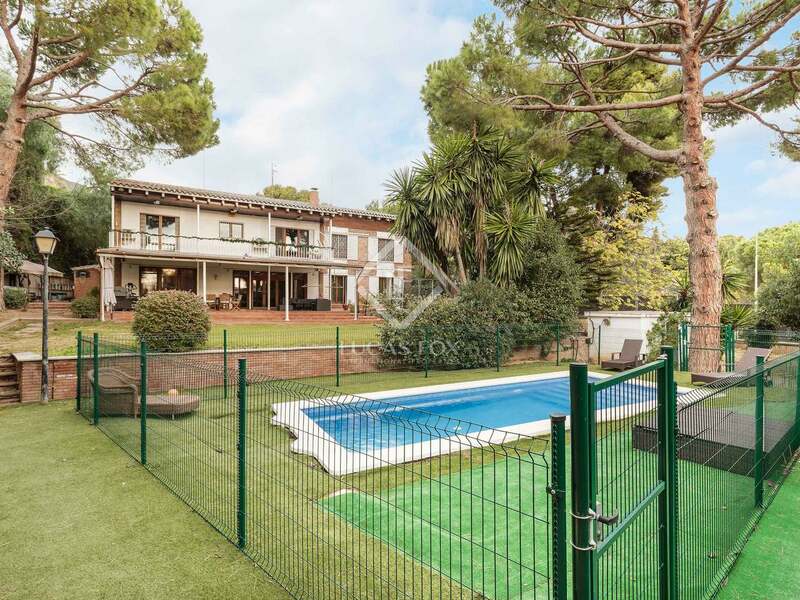 Impressive 9-bedroom villa with huge renovation potential and a lovely private garden and pool for sale in a privileged location of Pedralbes. 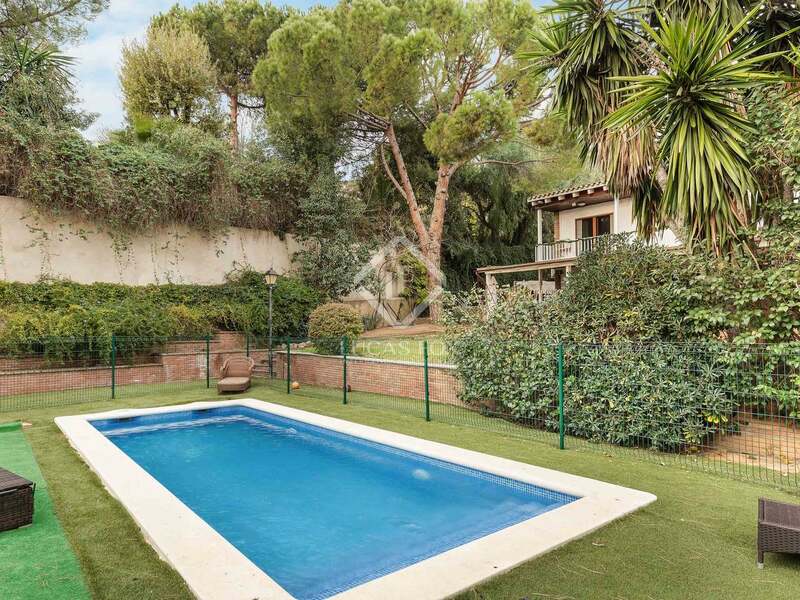 Found in the prestigious Pedralbes neighbourhood of Barcelona, this highly exclusive villa with a built area of 605 m² sits on a plot of 1,750 m² with a lovely green garden, swimming pool and a 45 m² garage. 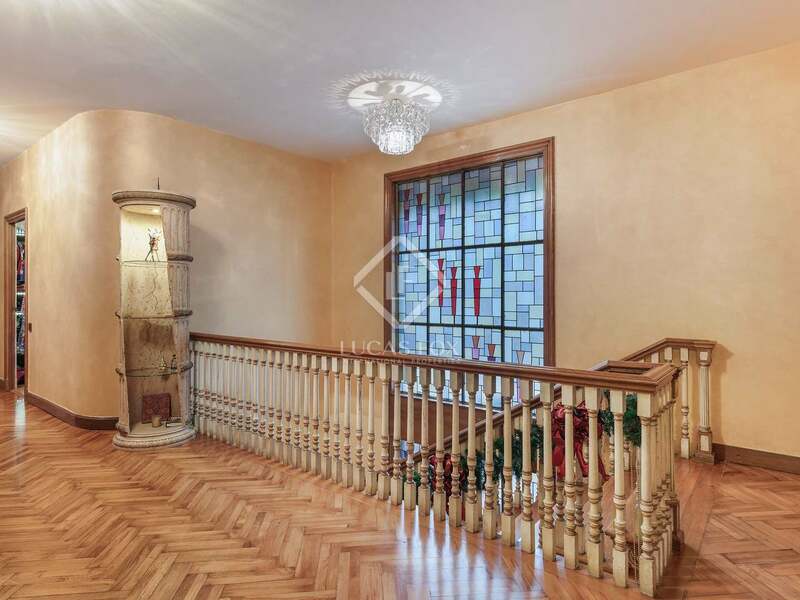 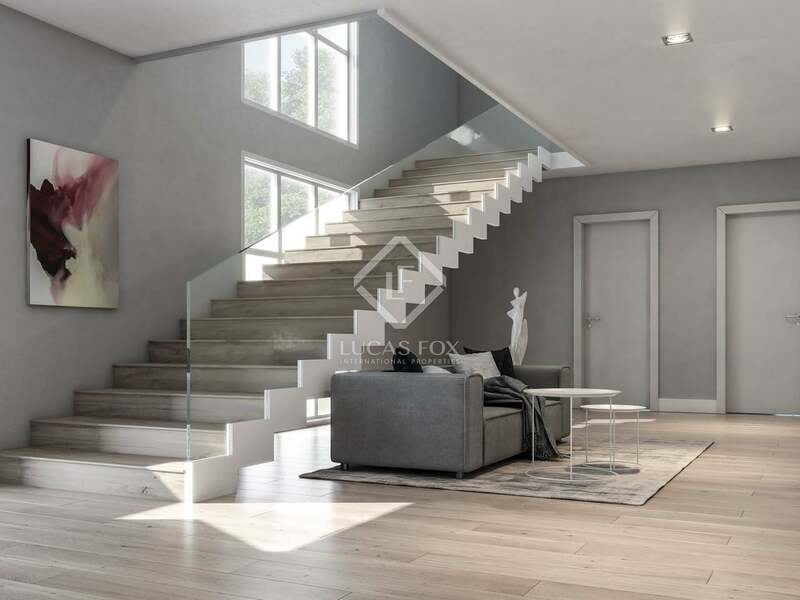 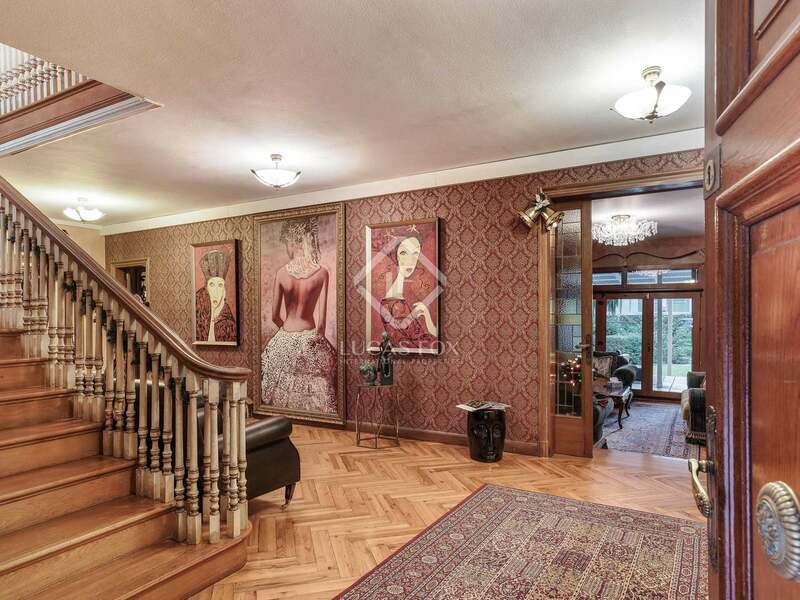 The ground floor welcomes us into an impressive hall of 41 m² with stairs to the 1st floor. 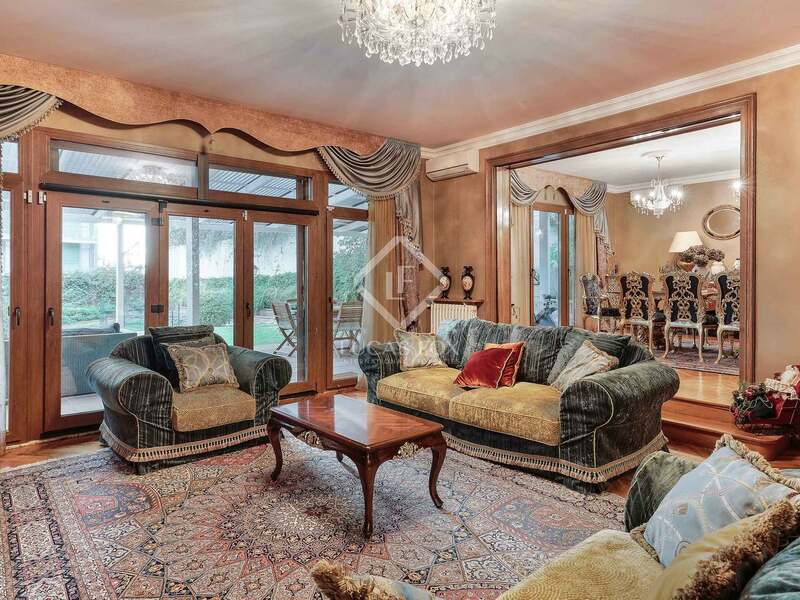 Leading off from the hall is the kitchen with direct access to the service area, the living room-dining room with direct access to the porch, and a sitting room leading out to a terrace and the garden. 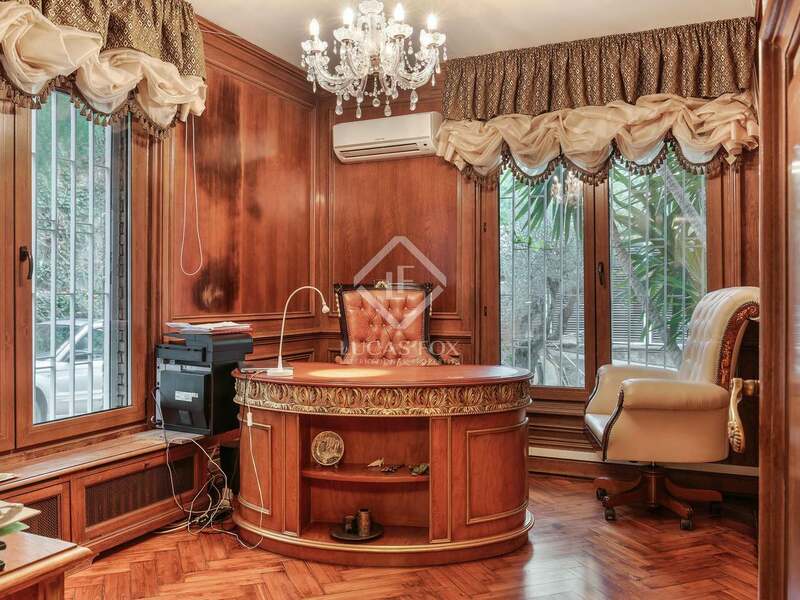 A guest toilet and a study complete this level of the house. 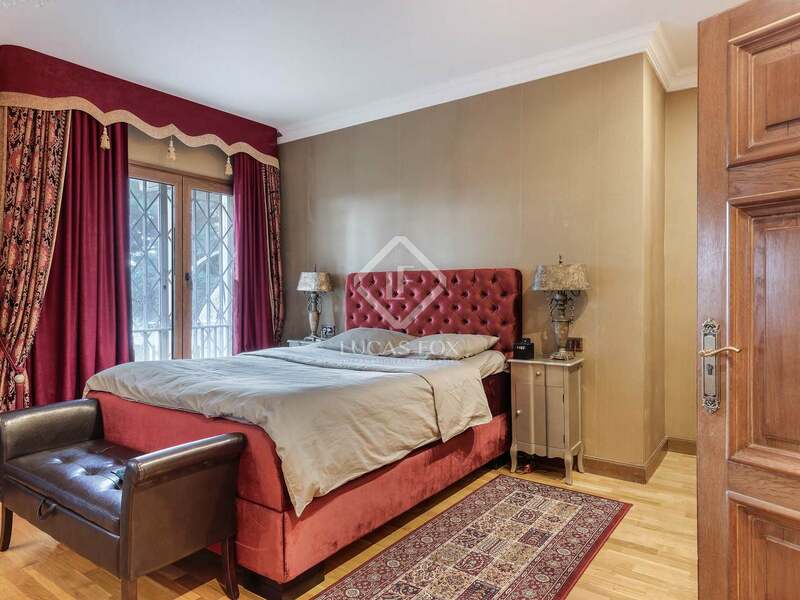 The first floor accommodates the master bedroom of 30 m² with its ensuite bathroom, a 29 m² ensuite double bedroom, 2 double bedrooms with ensuite shared bathroom, another double ensuite bedroom, and a 10 m² bedroom that is used as a dressing room. 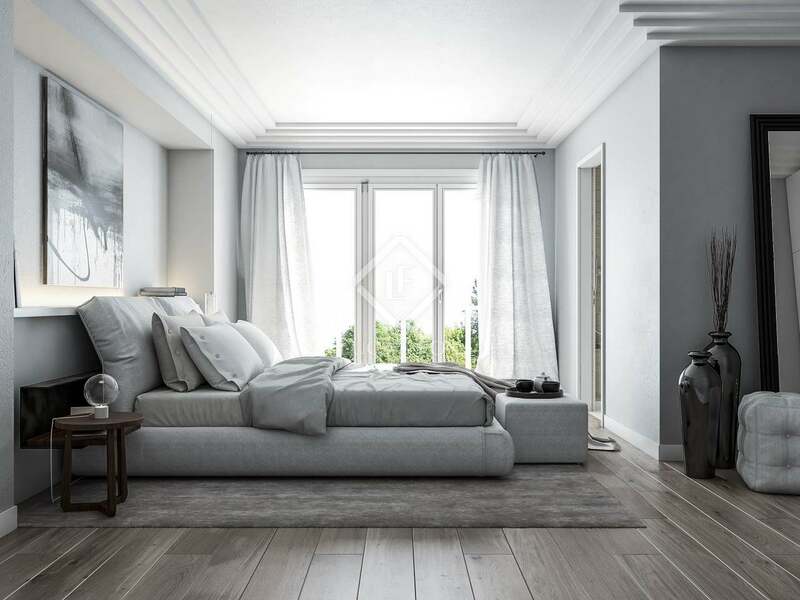 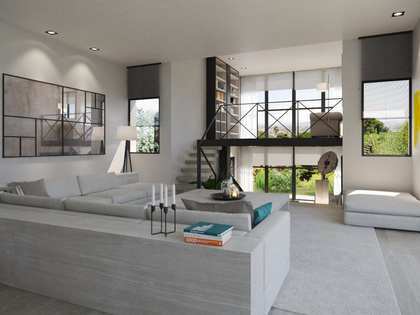 Some bedrooms, such as the main one, have a balcony. 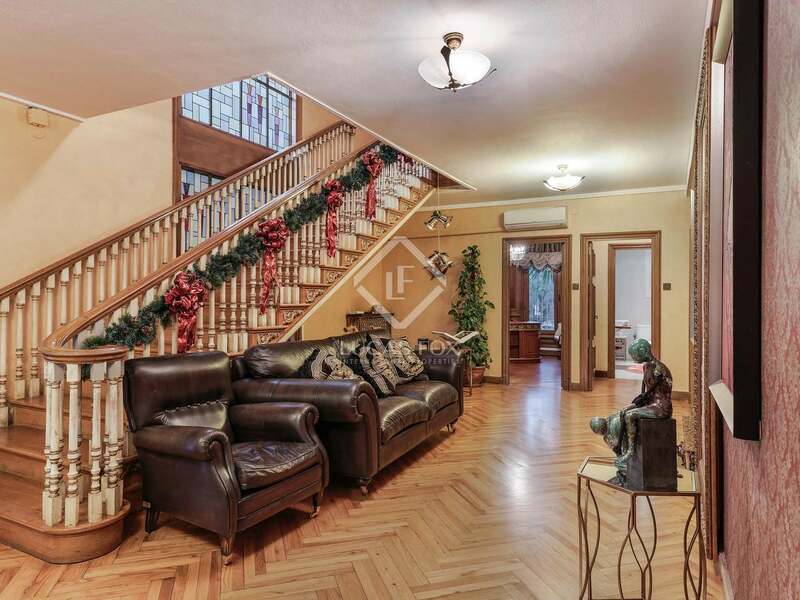 Furthermore, the house has a lower ground floor of approximately 70 m² for service staff with access by stairs from the kitchen or outside access from the garden. 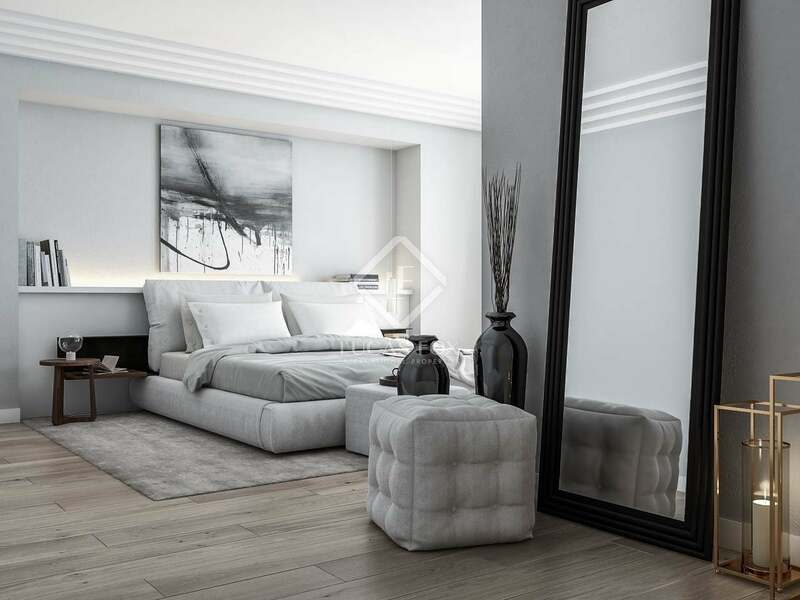 It has an ensuite double bedroom, an ensuite single bedroom, plus a multipurpose space, a living room and laundry area. 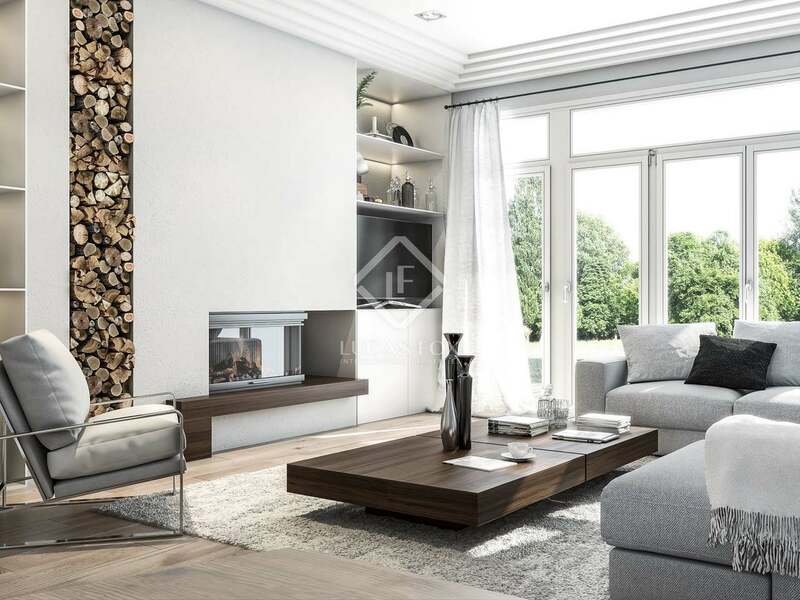 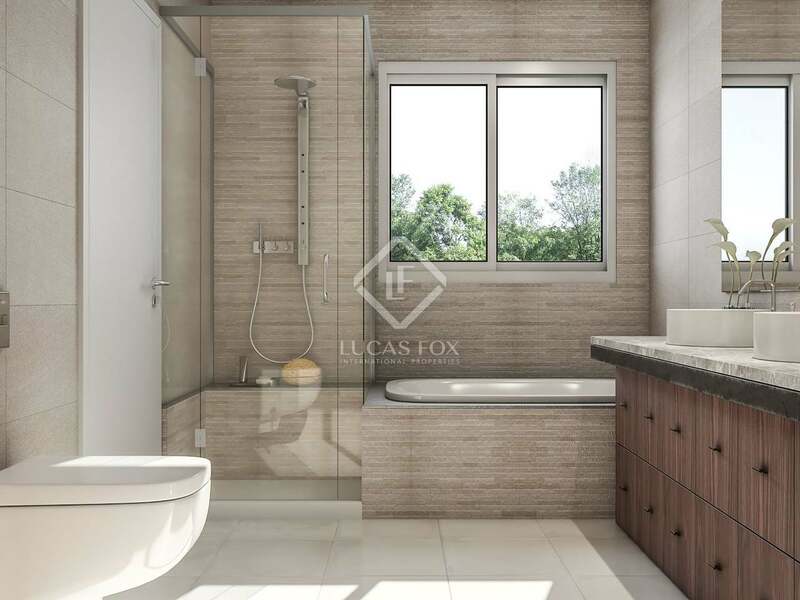 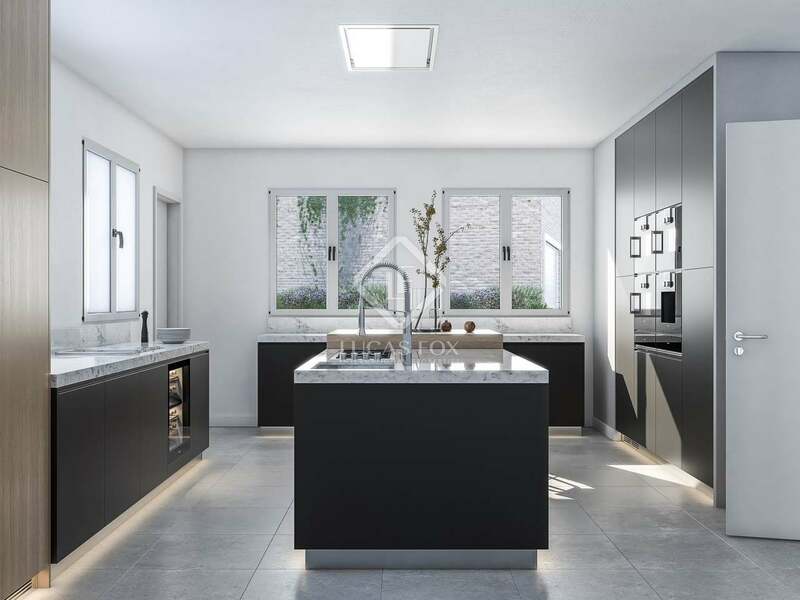 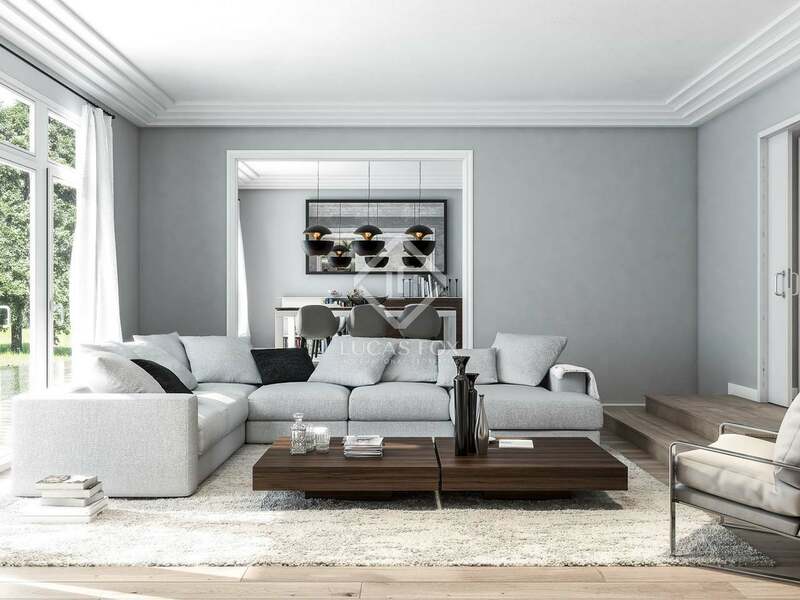 The renders show a project that is available should the new owner be interested. 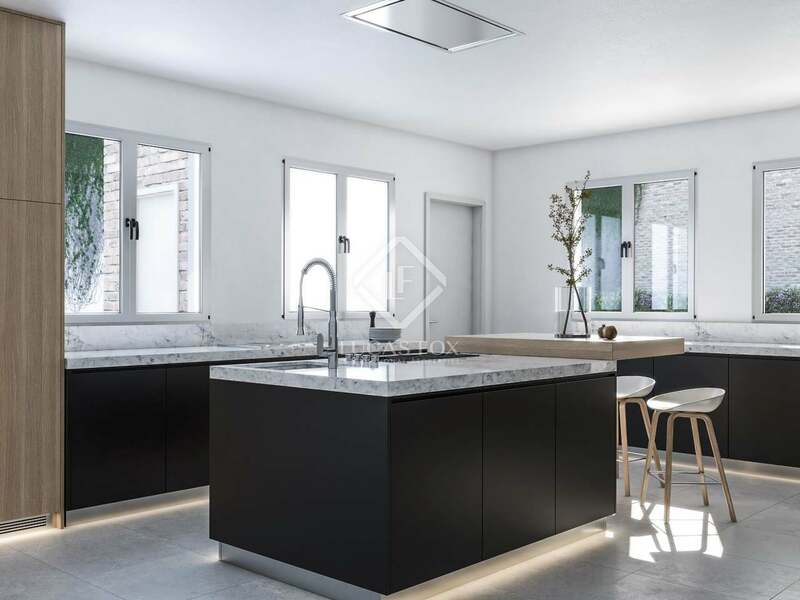 It would also be possible to extend the built size of the house by 300 m² approximately. 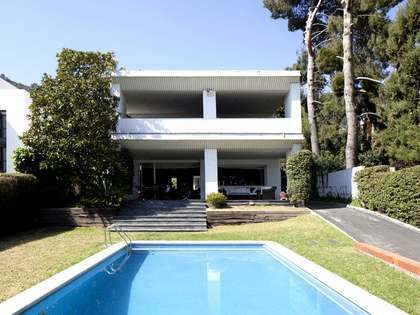 A rare opportunity to buy and update a property of this size in such an exclusive area of Barcelona. 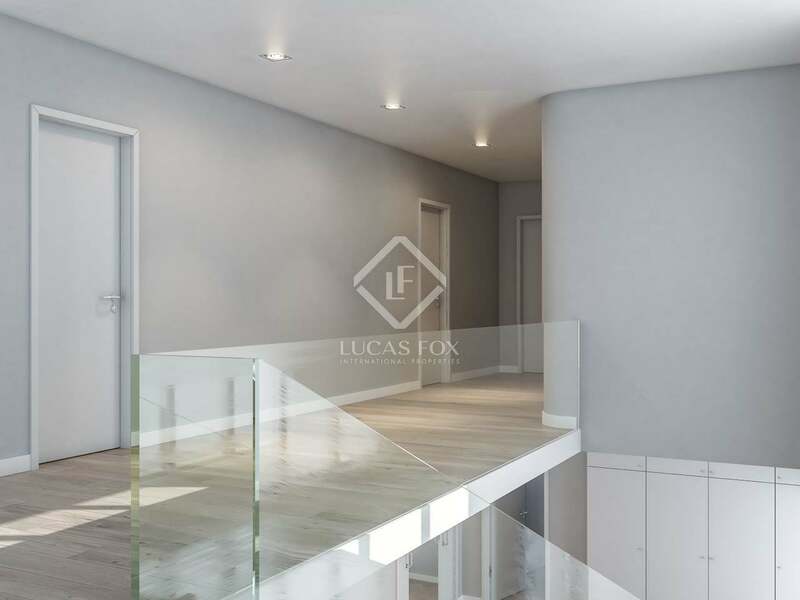 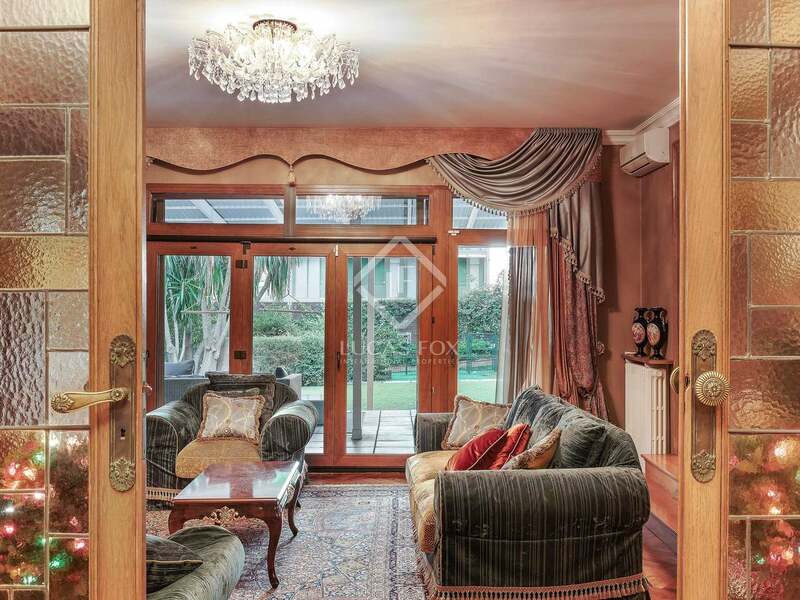 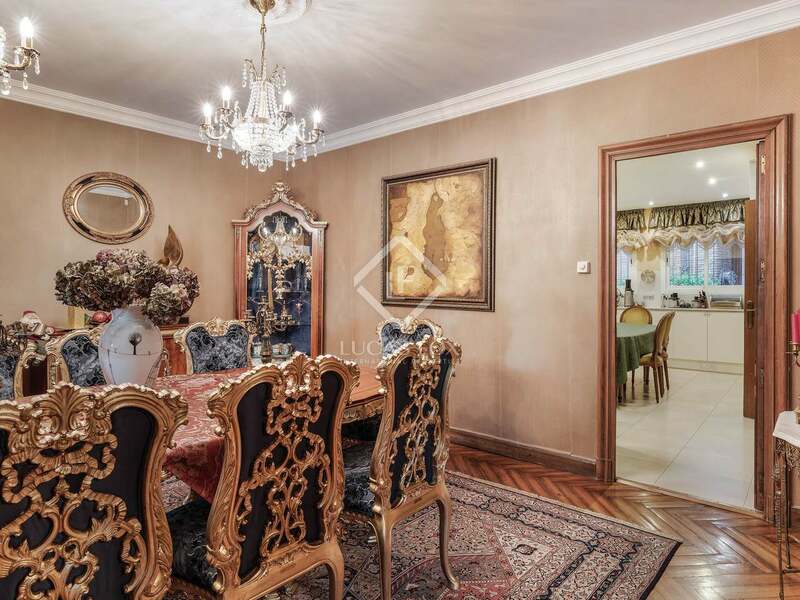 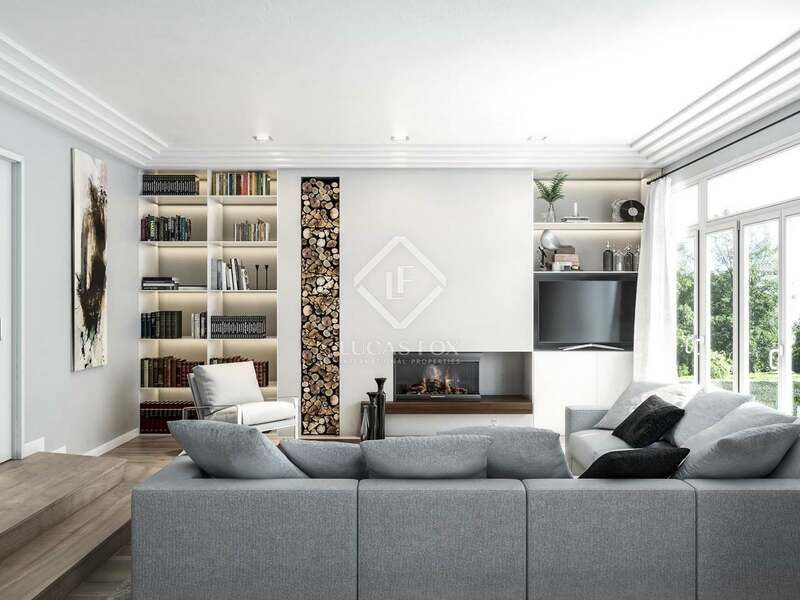 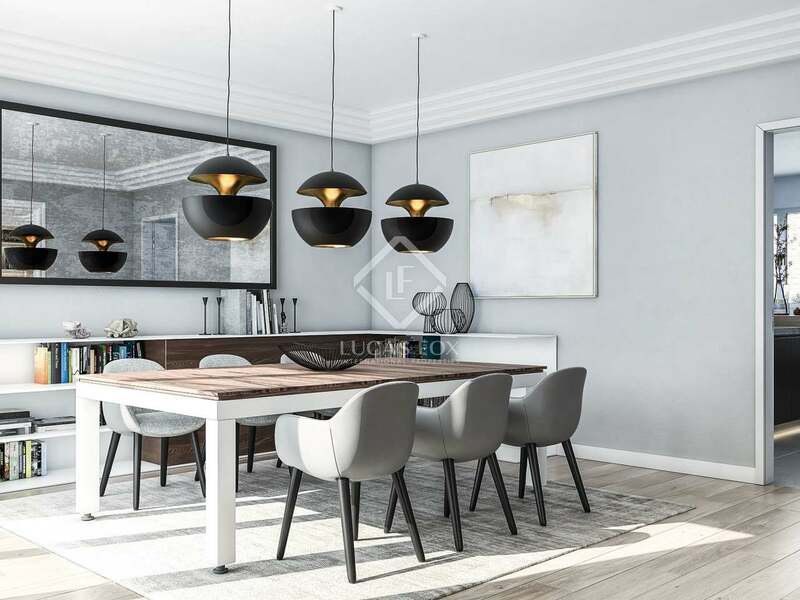 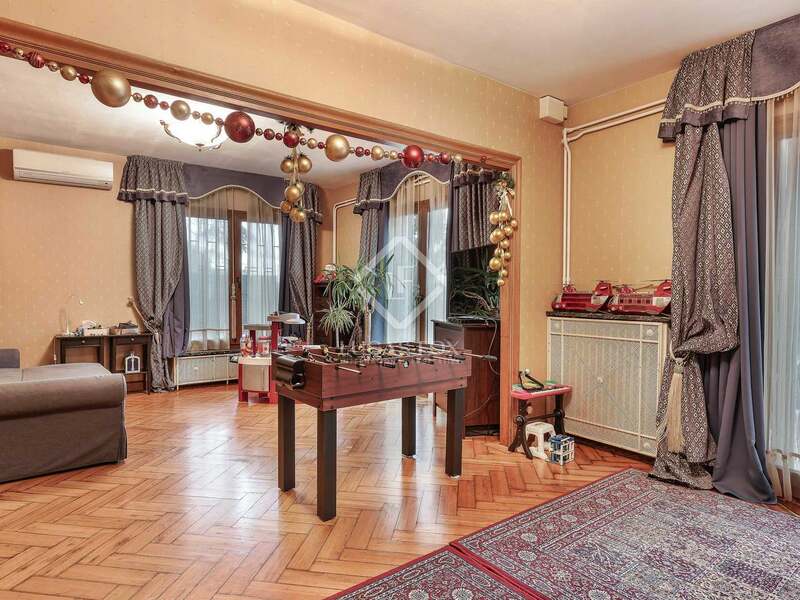 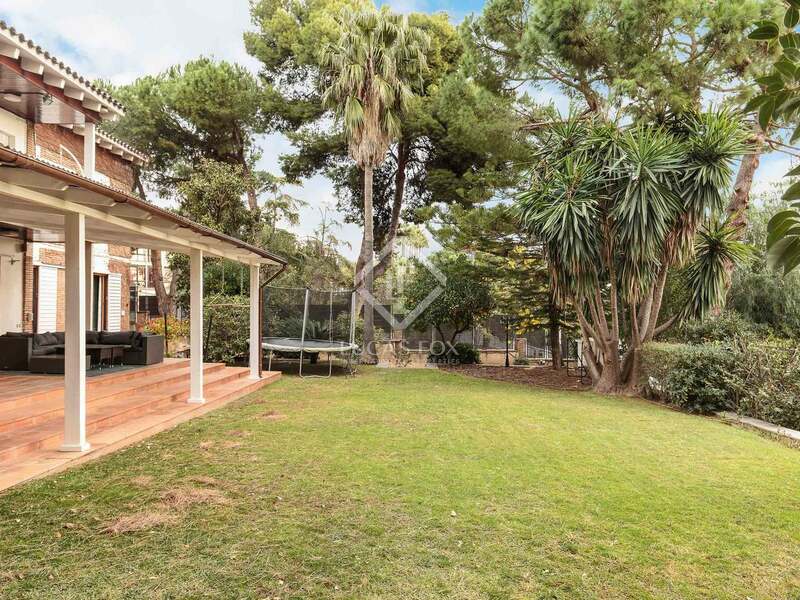 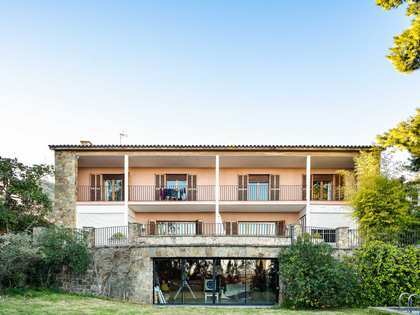 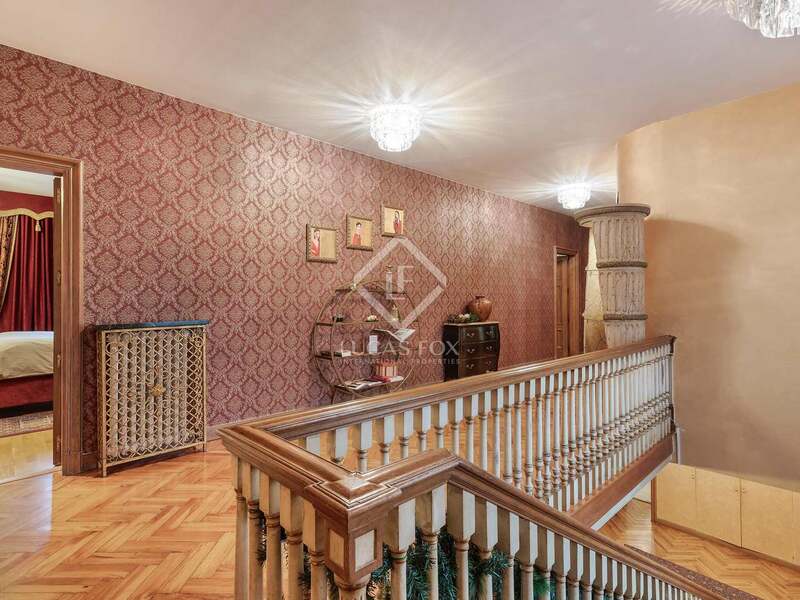 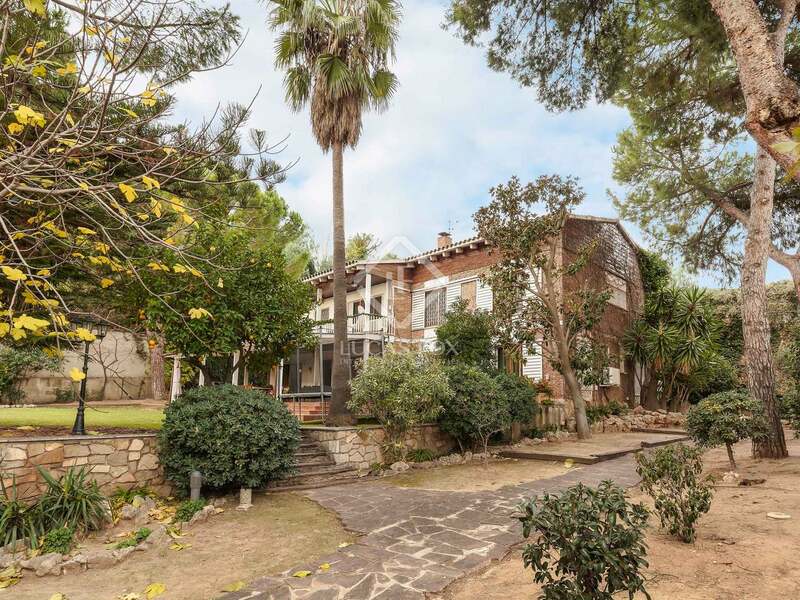 This exclusive property is located on a very peaceful street in the Pedralbes neighbourhood of Barcelona Zona Alta with good access via the Ronda (ring road), close to international schools and just minutes from the airport.